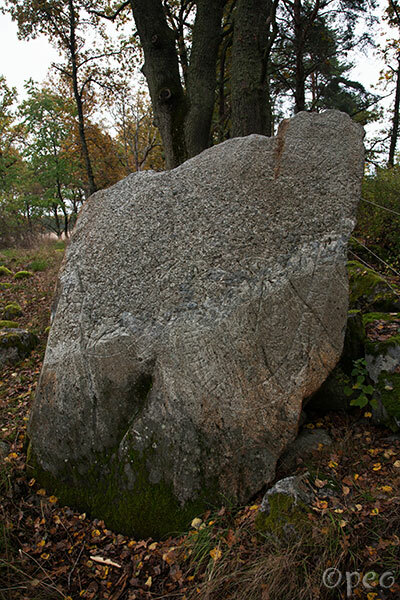 Steinulfr had this stone raised in memory of Sigfastr, his father, and Holmgerðr in memory of her husbandman. May God help his soul. You have to stand close to the stone to get a good view of the text. Point at the picture to see close-ups.